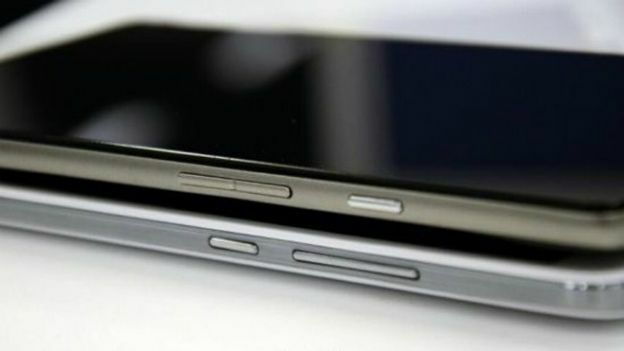 The Huawei Ascend Mate 2 has leaked again, with the follow-on to the Chinese manufacturer's 2013 phablet offering a brushed metal exterior. Huawei launched the Ascend Mate in India back in July and now it seems the Chinese company is close to unveiling its successor— the Ascend Mate 2. A set of photos of this forthcoming phablet have surfaced online courtesy of Chinese website, Weibo. Expected to maintain the same 6.1-inch form factor as its predecessor, latest reports have claimed that the Huawei Ascend Mate follow-on will be a very much incremental update to the little adopted phablet device. It has been suggested that the Huawei Ascend Mate 2 will maintain the same 1.5GHz quad-core processor, 2GB of RAM and 720p resolution display as the original model. While the phone's processor and screen seem to have been overlooked, the Huawei Ascend Mate 2 will reportedly play host to a much improved camera collection. With the second-generation device's primary camera rumoured to jump from an 8-megapixel offering to a 13-megapixel snapper, the secondary, forward-facing camera will reportedly be bolstered from a basic 1-megapixel sensor to a new 5-megapixel market leader. Although Android 4.4 KitKat is now coming aboard a number of new devices, the Huawei Ascend Mate 2 is said to be somewhat stuck in the past, tipped to launch with the now aging Android 4.2.2 Jelly Bean. While it's still early days we'd expect to hear more about the handset in the run up to CES 2014 in January.